Not your father’s Macbeth….but maybe your great-great-great-great-grandfather’s? 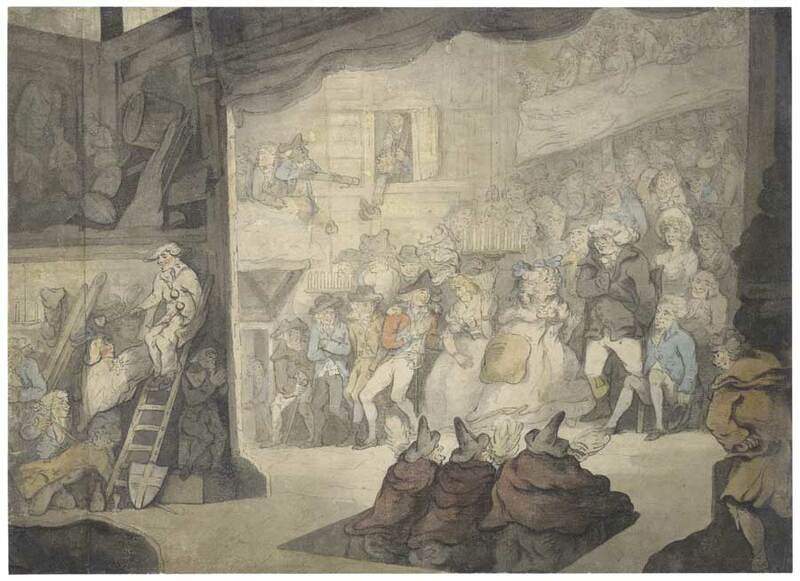 Adapted by William Davenant and first performed in 1664, the version of the Scottish play taking to the Folger stage in September was the most popular one well into the 18th century despite—or perhaps because of—the numerous departures from Shakespeare’s original text. To get you ready for this unique production, here are three key differences audiences should watch for once performances begin on September 4. If Young Siward, Lady Macbeth’s doctor, or the old man are your favorite characters, prepare yourself—you won’t find them here. A number of roles in Shakespeare’s play are missing from Davenant’s adaptation, which leaves room in the narrative for a number of additional scenes and musical performances…but more on that in a second. Most notably absent is the Porter, whose role is sometimes performed for comic relief. So what has taken the place of these fine Scottish folk? Read on, Macduff! 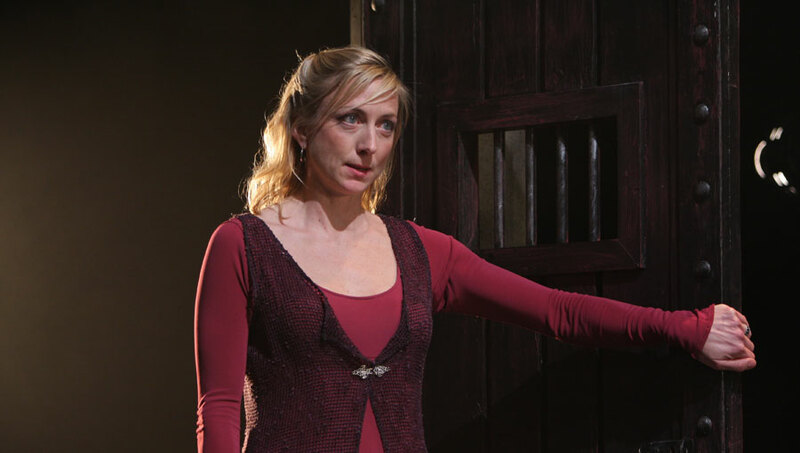 Kate Eastwood Norris as Lady Macbeth in the 2008 Folger Theatre production of Macbeth. She will reprise the role in Folger Theatre’s 2018 production of William Davenant’s adaptation. Lady Macbeth is one of the most famous roles in all of Shakespeare, but her time on stage is surprisingly brief—according to David and Ben Crystal, she doesn’t even crack the top 20 largest female roles in Shakespeare. Meanwhile, Lady Macduff has but a single scene wherein she and her young son are murdered by Macbeth’s goonies, a perfect example of early modern fridging. While neither woman survives Davenant’s Macbeth to lead a long and happy life in the Scottish countryside, both roles are notably expanded in this later version to account for the appearance of female actors on the English stage during the Restoration. As well as sharing a scene with one another, each gets additional onstage time with her husband. Showing more of the Macduffs together (Mr. Macduff also sees his role expanded) presents them as clear counterparts to the bloody Macbeths. In fact, one of these added scenes even shows Lady Macduff warning her husband against aiming for the Scottish throne. Speaking of characters getting more stage time, another key difference between Shakespeare and Davenant’s Macbeths is the prevalence of the witches. Shakespeare’s treatment of the supernaturally weird sisters is thought to have been beefed up by Thomas Middleton sometime in the early 17th century, providing a solid foundation for Davenant to expand upon. Again, the change can be connected to the prevailing theatrical tastes of the time—the witches famously flew in Davenant’s staging, satisfying the demand for spectacular special effects, and they also performed a number of songs. Audiences will get be able to experience this unusually musical Macbeth at the Folger, as Folger Consort will be performing live musical accompaniment in the upcoming production. It’s also notable that while the witches appear in more scenes in this adaptation than in Shakespeare’s, there are also more characters aware of the weird sisters’ influence. The Macduffs get to have their own eerie experience while making their way home from the Macbeths’, and Seyton muses that he’ll “to the English Train whose Hopes are built / Upon their Cause, and not on witches Prophecies.” No longer a shady secret shared by a select few, the witches are a constant presence in Davenant’s Scotland. Of course, these are just a few of the changes Davenant made when sitting down to amend Shakespeare’s thrilling tragedy for the 17th-century stage. What else did he tinker with? Well, you’ll just have to come see for yourself!